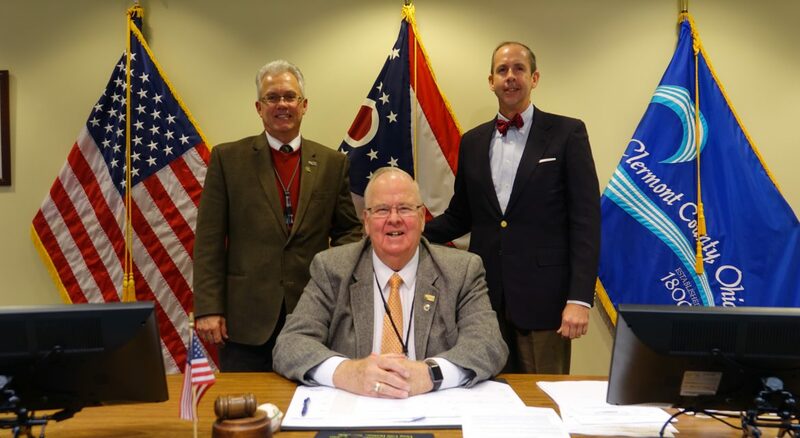 COLUMBUS, Ohio (Sept. 20, 2019) – Clermont County Commissioners are joining the County Commissioners Association of Ohio (CCAO) to call for a stronger partnership between state and county government as they released “Stronger Counties. Stronger Partnership. Stronger Ohio,” a briefing guide detailing county funding needs. CCAO and counties around Ohio are asking that these needs be addressed in future state budgets and legislation. On Sept. 19, Clermont County Commissioners passed a resolution in support of the Stronger Partnership initiative. The CCAO board met on July 20 with both major gubernatorial candidates (Richard Cordray, and Mike DeWine) and their respective lieutenant governor candidates (Betty Sutton and Jon Husted) to brief them on issues confronting counties and how to work together for Ohio’s future. State polices enacted over the last decade have placed counties in the difficult position of balancing revenue loss with escalating costs. The loss of the Medicaid managed care organization (MCO) sales tax, severe reductions in the Local Government Fund (LGF) and the phase-out of the tangible personal property tax (TPP) has eliminated approximately $351 million per year in county revenue statewide.